Ok – the low down – We have some terms and conditions to make it fair! 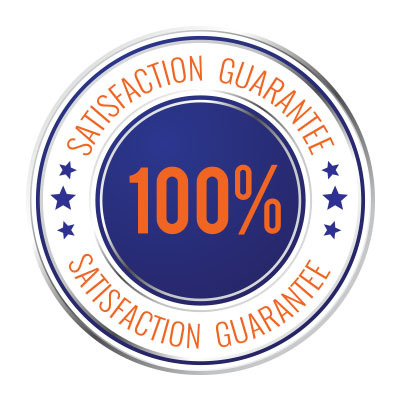 Our satisfaction guarantee provides a peace-of-mind computer repair and technology service. We take pride in our service and we stand behind every repair we do with our 100% 30 day Money Back Satisfaction Guarantee. Total Microsystems satisfaction guarantee fully warrants all repair labor for 30 days from the date of repair completion. If for ANY reason you are dissatisfied with our service during, or at the time of completion, we will issue a full refund of your purchase – minus the cost of any software or hardware used during the course of the repair or service. If a problem is not fully corrected during a repair, and if the system exhibits the same symptoms as when the system was originally repaired, we will repair the problem (if possible) at NO COST or RETURN YOUR MONEY for the repair less any parts received within 30 days. If during a warranty repair, additional parts are required to complete the repair, the client is responsible for paying for such parts. If after a repair, you experience a problem that you did not originally tell us about prior to the initial repair, or within 7 days after acceptance of the system by you, the problem is classified as new and unrelated. These unrelated problems are not covered by our Satisfaction Guarantee. We appreciate you promptly notifying us within 7 days of any such problems. If the problem is related to the repair we completed, or if we missed something, we will promptly resolve the problem to your full satisfaction. Guaranteed! Testing fees are not covered under the Satisfaction Guarantee. If we complete a diagnosis of your system and you decide not to repair it, you are not entitled to a refund for this service. If however, we fail to repair your computer after our diagnosis and repair, and you are unsatisfied, you will receive a full refund including any testing fee paid. Due to the complex nature of data recovery, data recovery services are exempt from our guarantee. If you wish to have a refund for our data recovery service because we were unable to recover specific data, yet wish to have any data that we did successfully recover, you will must choose between a full refund and receiving no recovered data or receiving what data we recovered and paying the service fee. We provide a 14-day virus removal guarantee. If we remove any viruses from your system and you experience a problem within 7 days, please return the PC to us within this 14-days. We will carry out our virus removal services again and ensure your device is clean. However we can only provide this service once during this 14 day period. If you continue to re-infect your computer due to re-visiting infected websites, re-downloading infected files or deliberately or inadvertently re-infecting your system through other means we reserve the right to void your satisfaction guarantee or labour warranty claim. We are not responsible for your PC’s protection or users behaviors subsequent to such removal.